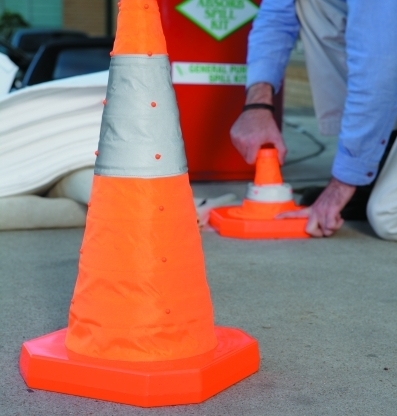 The new Pop Up/Collapsible Safety Cones allow any incident to be secured quickly. They squash flat for compact storage and are high-visibility with reflective tape. • Securing a spill incident or other hazard and warn others not to enter the area. • Add one to your vehicle kits. • Won’t withstand vehicle or other traffic. Use conventional cones for extended use.